As personal home buyers and also as real estate investors, we have purchased quite a few properties in the last 37 years, working with a wide variety of real estate agents in a number of different states. Given that perspective we can easily say that working with Jan and Don was one of the easiest and best working relationships that we have ever had. Their knowledge and experience in the Tahoe real estate market is both extensive and impressive. And their concern for the overall well being of both buyer and seller was clearly evident from the day of our first contact to the day they handed us the keys to our new mountain home. There are ups and downs in any real estate transaction, even in the best of circumstances. But Jan and Don work as a seasoned team, helping to resolve those inevitable issues in a positive, caring, sensitive, professional and yes, sometimes humorous way! All of our communications by email, phone, text, fax and in person kept things moving along nicely. And we had prompt and professional responses to all of our questions along the way. What made a huge impression was their friendliness, their positive attitude, their attention to detail and their follow-through. They genuinely love what they do and continuously strive to be the best, and that made all the difference in the world! They truly go the extra mile and then go another extra mile just to make sure things are done right. I mean they even cleaned all the snow off the eves of the house right before we took possession just so we wouldn’t have to. Now that’s service! 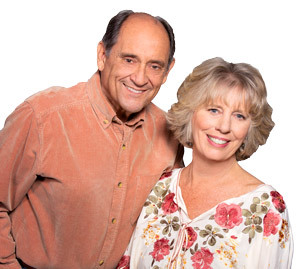 So yes, in all of our years of experience, we give Jan and Don our highest recommendation, both personally and professionally. They are simply the best! "Thank you, Don and Jan, for another great experience of buying a home. Yet again, you have shown that you truly care about people, and profit or closing... continued"